Now I have finally a full weekend off for a change!! That is a rarity when you work in Retail! OMG and what do i do with it, i hear you say…. Well we go down to Norfolk and see the family for the weekend that’s what lol. My lovely cousin Kirsty wanted to surprise her hubby for his 30th Birthday by having the family round for a nice meal out together and a few drinks after. So when we was planning this last year i thought I’d best make a dress for the occasion! 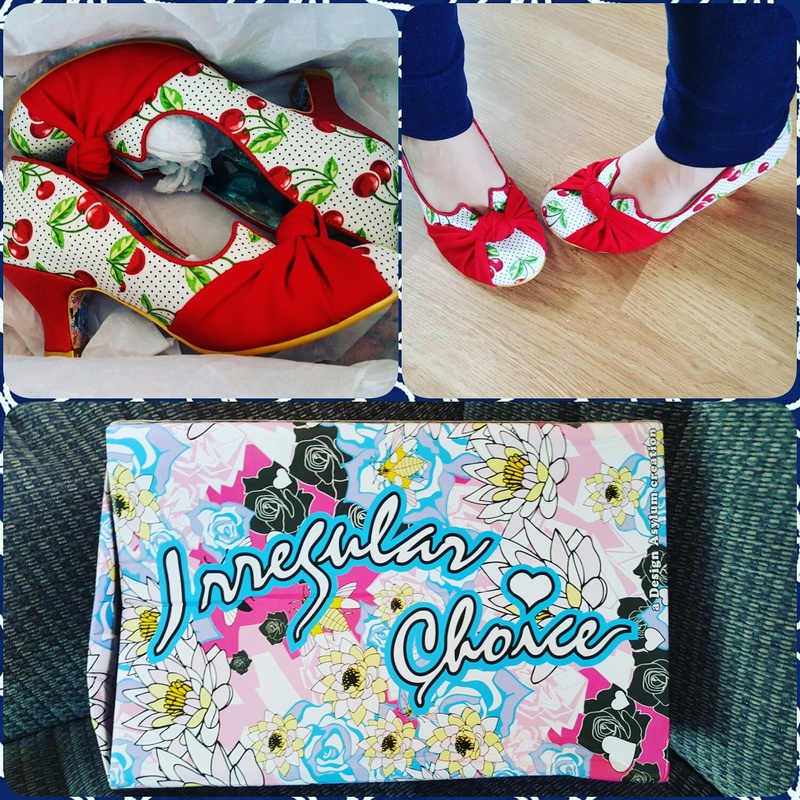 I have the loveliness pair of Irregular Choice Shoes that are in such a darling Cherry Print that I wanted to wear them again and have a matching Dress, well the colours anyways! The Red and Black Cotton poplin was Minerva Crafts and the White with Black Polka Dots is some left overs from ages ago and can’t remember where I had bought it from! I won The Dragor Pattern from nana’s Instagram back in December and thought I’d go all vintage! I’ve slightly altered the pattern so that the red band at the waist continued round to the back pretty chuffed hat it matched up so well! Also took off 6″ off the length of the Skirt on the Pattern before cutting into the Fabric. Dam my shortness!!! I made a toile as I haven’t had the chance to have a play with howtodofashion patterns before and thankfully I only had to shorten the straps by an 1″ and the rest was spot on! I cut out a Size 12 all over and it fits great! 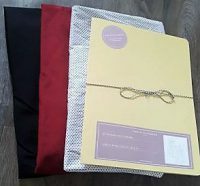 For the first time too I’ve used invisible Gutermann thread and its fantastic no need to switch to different threads for the different colours of fabric! So hope you are all having fab weekend!! Absolutely beautiful! I hope you get to wear it soon! Thanks! I’m sure I will even it is just to the shops ?